Don’t let his good looks deceive you, that’s merely a product of his French ancestry. Had we lived in a science fiction movie, Baudet would have looked more like Emperor Palpatine: A sinister deceptive figure who uses fear over terrorist incidents and people’s innate selfishness to gain power for himself. 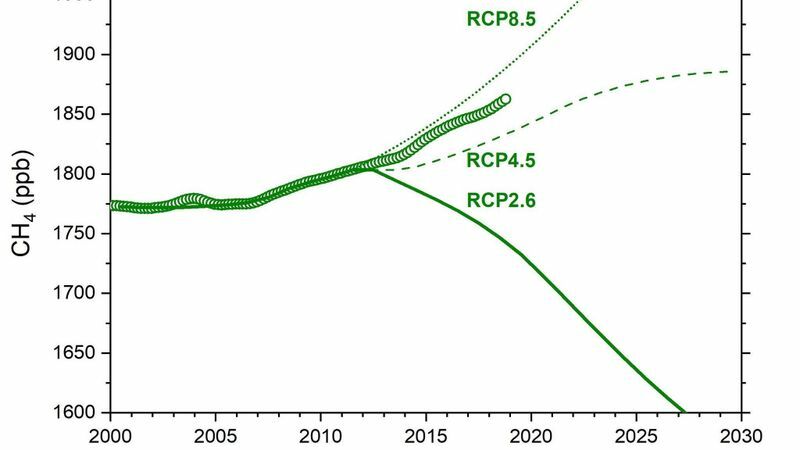 Baudet argues the impact of our actions on global temperatures would be negligible, if we take proper measures until 2030. This is a stupid argument of course, that any group of people could repeat. Although the US is a major player, Texas could claim its own individual impact as a state is negligible, as could individual citizens and cities. The solution is that every nation needs to take this crisis seriously, in the same manner as all of the major nations of the world agreed to stop hunting endangered whales, stop emitting chlorofluorocarbons and stop dumping nuclear waste in the ocean. The world’s major nations should then place economic sanctions on any nation that chooses to defect from the agreement and insists on continuing to pollute our shared atmosphere. It’s a more difficult crisis to address than previous issues, but our decision whether to take the issue seriously will determine whether today’s children will have a future worth living or not. What we chose however, is that our children apparently don’t deserve a future. Democracy is a flawed system, in the sense that the people who get to decide who will run our nation don’t have to live to see the long-term consequences of their decisions. If you’re aged 65 today, you probably won’t live to see how climate change will affect our planet. That’s the burden you leave your own children with. I talked to a babyboomer the other day, she insisted that a heat pump would never break even on investment before you’re dead if you’re her age, so she considered it an outrage. This illustrates the mentality of most of the elderly: The world dies when we die. Denial is not stupidity, it’s just thinly disguised selfishness. The arguments to justify the denial keep changing, because the arguments don’t matter, the arguments are merely meant to absolve their user of any sense of responsibility. I doubt the people who use the arguments genuinely believe them from the depth of their heart. That’s what’s really going on, it also explains what happened in yesterday’s election. People saw a chance to pass on costs to the next generation and so they made the decision to sacrifice their own children. We live with an abundance of material wealth today. 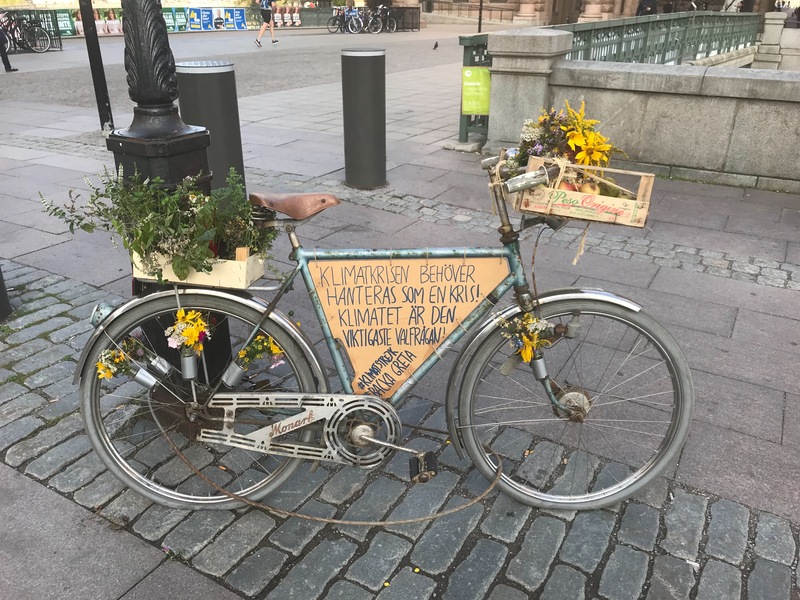 A sane society would use the surplus of wealth we have today, to make the preparations necessary to transition to a carbon-neutral economy that doesn’t treat our atmosphere and our oceans as a sewer dump. For the generations that follow ours, this will be far more difficult to achieve. You need a surplus to make preparations for the future, it’s the same problem every farmer faces. Our generation is comparable to a farmer who chooses to eat the seeds that were meant to allow his children to grow crops. You have to ask yourself: When the world becomes so warm that forests turn into a carbon source, the ocean becomes so acidic that people can’t properly cultivate shellfish and thawing permafrost starts to release methane and trigger the collapse of arctic cities, how will future generations gather the resources to set up a sustainable economy? They probably won’t have the means left to do so. We had the responsibility and we blew it. When I say that we blew it, I mean it. The USA elected a malignant narcissist real estate mogul, Brazil elected a president who wants to seize rainforest from indigenous tribes, in France people marched on the streets and rioted against a modest carbon tax and in the Netherlands we have now given power to a man who explicitly ran on a platform of not addressing climate change. Today’s children are being robbed. They’re being robbed of species they will never see alive, robbed of the standard of living that older generations could take for granted, robbed of the opportunity for the world to come together and settle the issue of how to make use of our dwindling natural resources in an equitable manner that prevents outbreaks of cruelty and misery. Now it’s time to illustrate why climate change matters. Climate change is not so much about hungry polar bears or winters without snow. Climate change is about the descent of civilizations into cruel barbarism. In Syria, the worst drought in 900 years led rural farmers to migrate to the cities, where they were faced with unemployment. This led to violent protests against the government, eventually culminating in a civil war and the rise of a jihadist movement that carried out genocides. In Mali, severe drought led to an insurrection of Tuareg separatists and Islamic militants that led to the destruction of world heritage sites. In India, severe droughts have led to thousands of farmers committing suicide, because they simply can not make ends meet any longer. These are problems that are going to grow increasingly worse and affect more people as the problem starts to worsen. Ask yourself for example, how Pakistan and India are going to agree on properly sharing a dwindling supply of fresh water, or how hundreds of millions in Southeast Asia are going to sustain themselves once the coral reefs home to once thriving communities of fish start dying off. There’s a responsibility we have to the future generations who will have to deal with these problems, but we’re failing to live up to that responsibility. No matter which way you cut it, we’re currently on a trajectory somewhere between business as usual and RCP 4.5, but closer to the prior than the latter. Today’s children would be correct once they are old, in stating that we did essentially nothing about global warming. What you have to consider however, is that the highly ambitious target of the Paris agreement already guarantees a world much warmer than today. Under 1.5 degree of warming most of the world’s coral reefs would already be lost to bleaching, absent some successful weather modification program. We’re not setting today’s children up for a world 1.5 degree warmer however. Based on our current actions, we’re setting them up for a world that would be four degree warmer by 2100. So at this point, the only proper response is to say that we screwed up. Today’s children are going to suffer the consequences of our selfishness and greed once they are adults. We’re living with a standard of living and a sense of security that would have been unimaginable to the generation of our grandparents. For whatever reason, we’re not willing to make the sacrifices needed to ensure that today’s children will similarly be able to live lives in relative comfort and security. We’re passing on to them a world characterized by droughts, resource wars, political instability and hostility between different ethnic groups. I think this problem is ultimately cultural. As people grow older, they learn through cultural conditioning to base their identity on material possessions. The man with a an expensive car is more dignified than the man with a cheap car, who is more dignified than the one on a scooter, who is still more dignified than the one who only has a bicycle. I’m an adult now, I work at an office where most of the young men seem to enjoy little more than sharing factoids about different cars with each other. A car however, is an expensive status signaling object, a modern day white elephant. Even as a child I never quite managed to understand the appeal of material possessions. I think today’s generation of children is different. Material wealth is so ubiquitous that today’s children increasingly struggle to see the appeal. Our current way of living is struggling with the fact that all the abundance of wealth it has to offer increasingly fails to appeal to children. Today’s children practice inverted status signaling, which was very common before the emergence of capitalism, it is after all what medieval monks did too. Under inverted status signaling, people base their identity on their own self-chosen poverty. 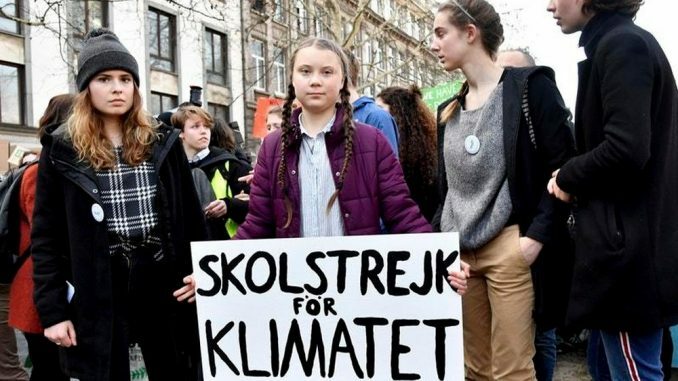 Consider the inadvertent leader of today’s young climate activists, Greta Thunberg. She is a girl with Asperger’s syndrome, who became depressed and started losing weight once she realized the ecological crisis unfolding around her. It’s only when she began to take action against the crisis that she started feeling better. It’s hard to sufficiently emphasize how comforting her presence is to people around the world who have faced similar difficulties as her. Have you seen his speech? It was full of pseudo-intellectual waffle with strange fixations on Rutte and the “owl of Minerva”. I´m not sure I could manage to sit through that. Do you have a link? 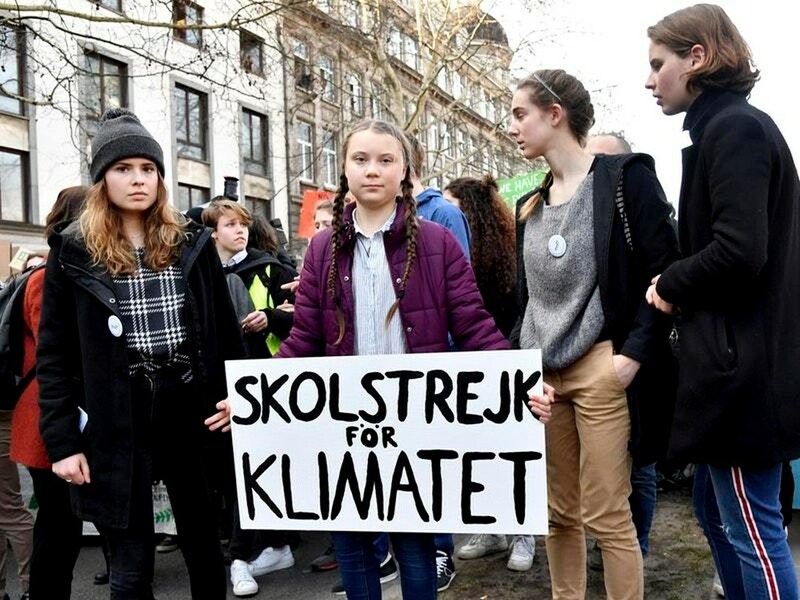 As a sidenote, even though FVD is a big party now, the prime minister is forced to get his climate accord through by negotiating with GroenLinks and PvdA. That may have some positive influence (but it will still be too little). 20th and 21st century leaders of the ‘free world’.